I went to Blackpool for the weekend with my mum last week for a some relaxation and fun (post to follow). Neither my mum or I are what you could call light packers. My mum tends to bring clothes for every eventuality and I am definately the products girl. For me there is nothing worse when you go on holiday, even if it is just for a weekend and you haven't got everything with you that you want. Whilst I can easily plan outfits ahead of time and pack the minimum pair of shoes, if I do not have options for accessories and if I cannot bring all the makeup and products I want, I am not happy. A couple of years ago I decided to solve this problem and bought myself a vanity case. The one pictured below is no longer available but there are so many options about. Mine has the added bonus of being rain proof so you don't have to worry if you are caught in a shower. 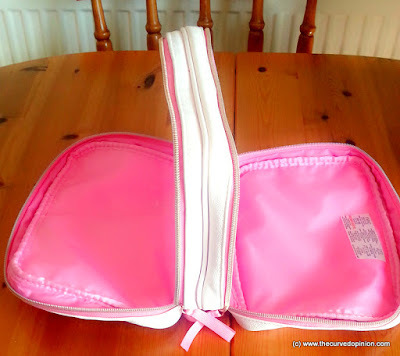 Next up is my pink leather toiletry bag. 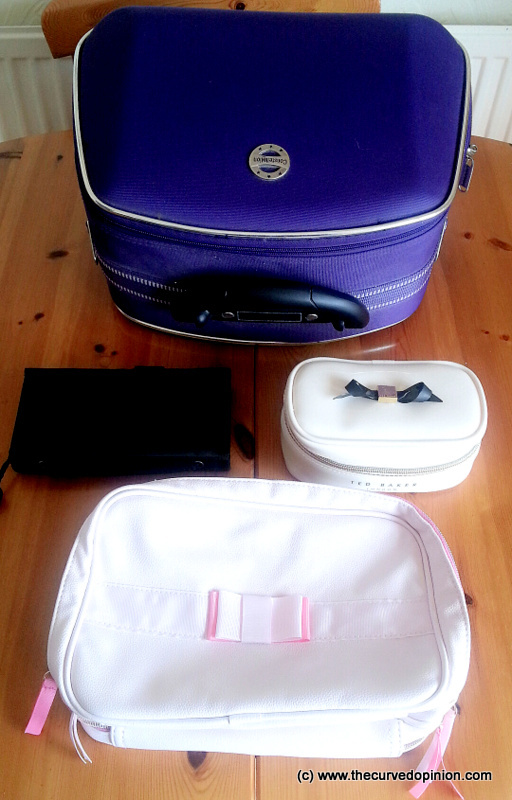 I have all my shower and hair products on one side and keep my makeup in the other. It holds a surprising amount of stuff whilst still being compact when you zip it all back together. This bag was a present and I believe it was from Next. I don't know about you, but every time I pack jewellery in my suitcase, it always seems to tangle into a horrible state and for some reason, I always end up losing an earring or two. Enter my new jewellery case* from the House of Fraser. 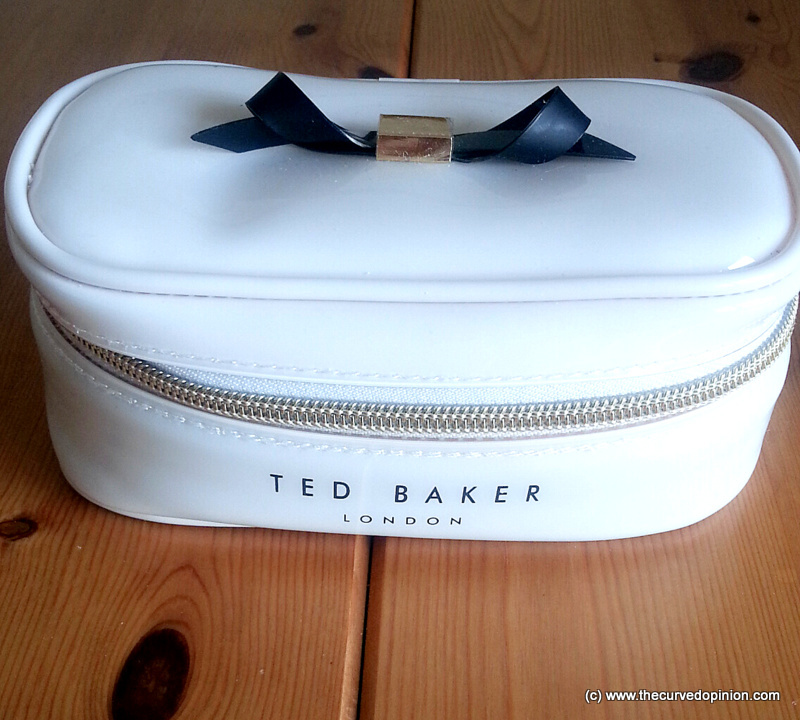 It is just the right size to hold your jewellery, securely locked away in a zip and thanks to the draw string pouch inside, every stays put with minimum tangling. 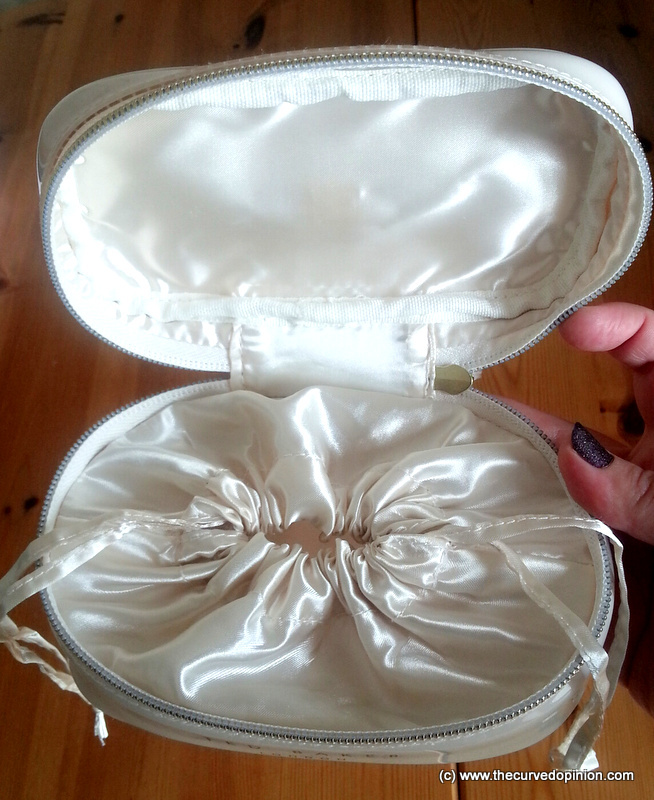 Lastly I have my old faithful make brush up case which folds away neatly for packing. 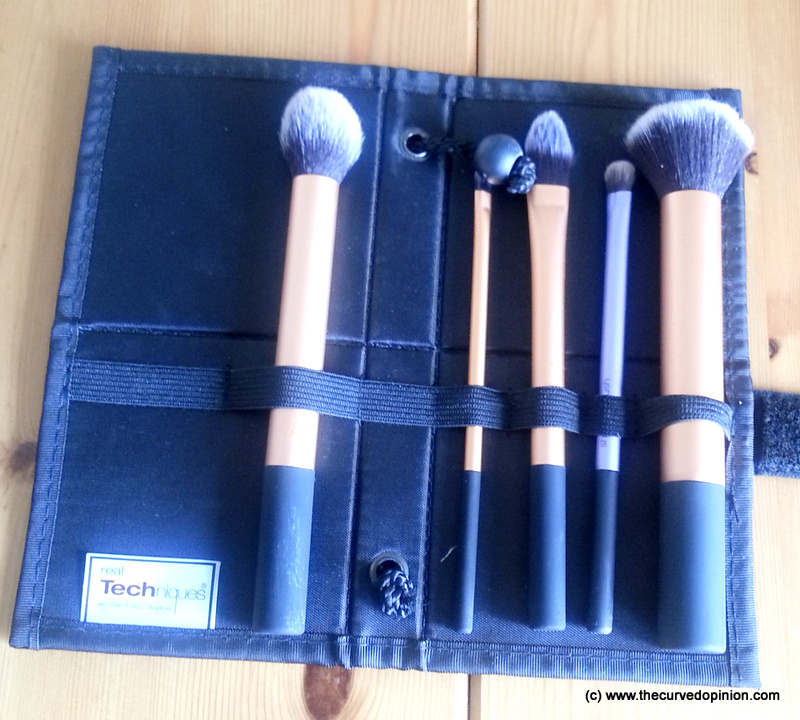 I like to have all my favourite brushes with me and this case lets me do that, without taking up much space at all. I bought mine here in a set which includes four brushes, but has more room in the sections for more.